SOLD. 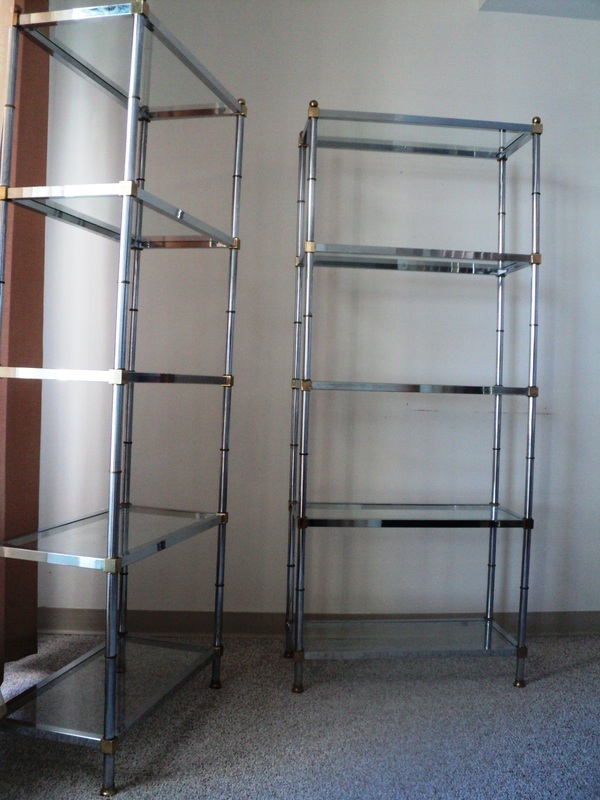 Pair of Chrome & Bronze Etageres. 1960s/France-Attributed to Maison Jansen. 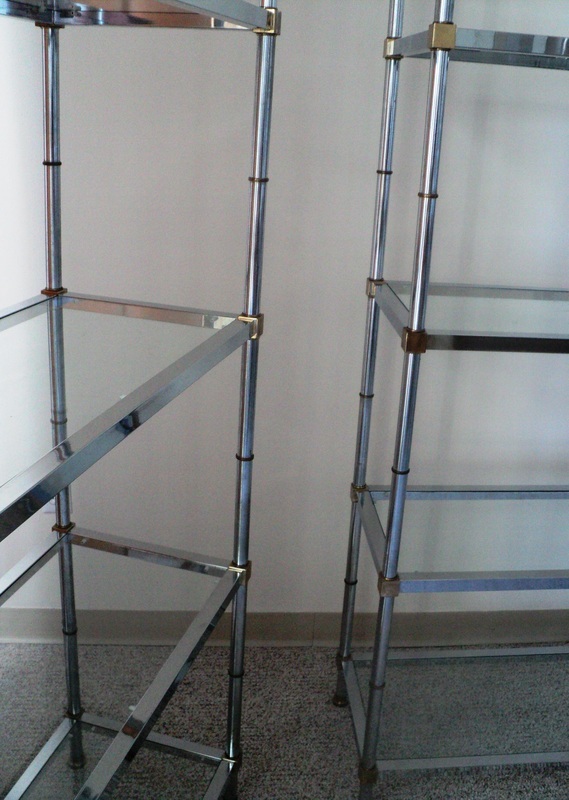 Each Etagere Dimensions: 30.5 x 74.25 x 14.5. Very Good Vintage Condition. Minor Surface Loss Consistent with Age, Material & Use. Chromed Steel Structures. Bronze & Bronze Plated Joinery/Detail. 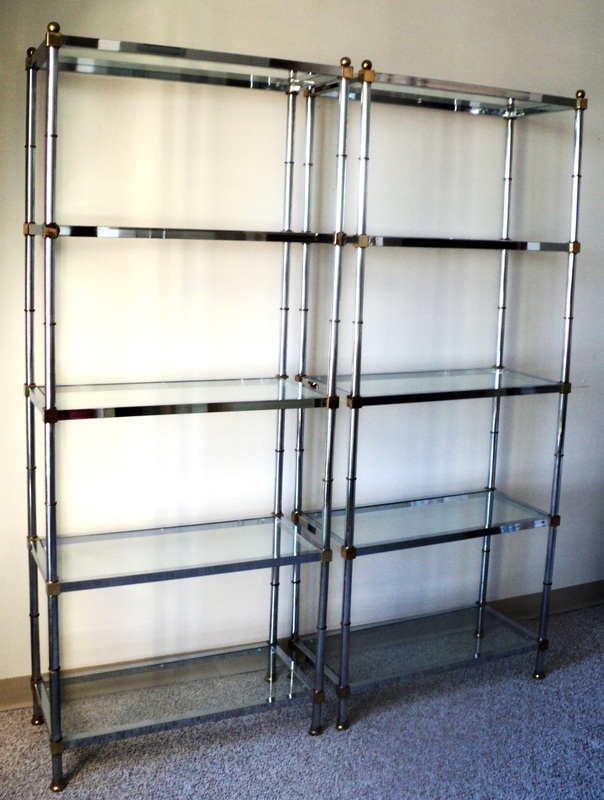 Original Clear Glass Panes (Five per Etagere/10 Total). 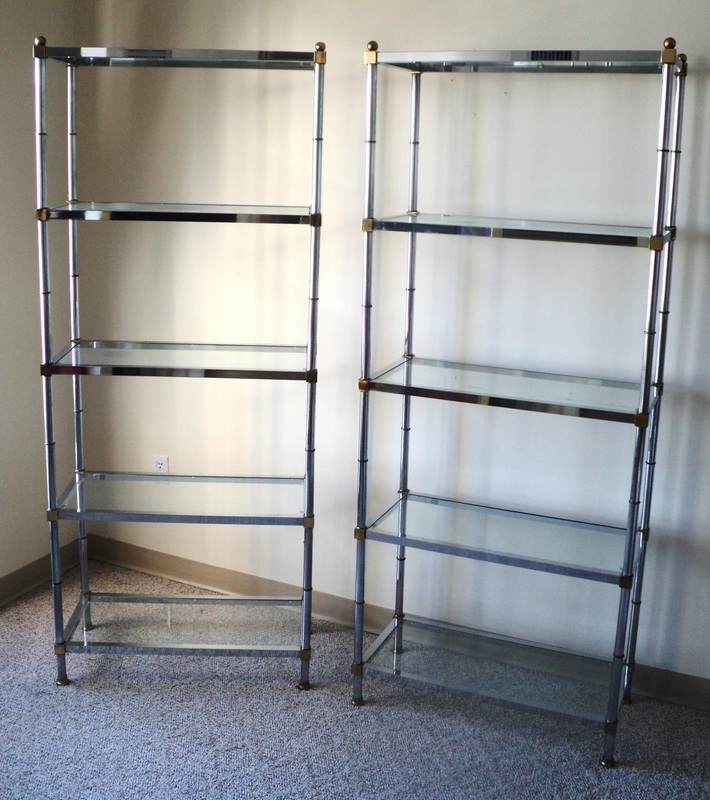 Pair of Five Tiered Chromed Steel, Bronze & Glass Etageres. Sold as Pair/Price is for the Pair. SOLD.